A few weeks ago we had the good fortune of having William Woollard, Matt MacMillan and Karen and myself sat around our kitchen table. We read two lovely experiences about relationships with mothers, one from two sisters in India, Bipasha van der Zijde & Bishaka Dalvi. The other experience was from Kelvin Lam. We swapped stories and experiences and played music from the Podsafe music network including, Levi Blues by the Dala Girls, Mine Again by Black Lab and Yael Naim with New Soul. The editing took some time and I was able to get the file ready to the digital work on the plane to Brisbane, where when we land I hope to post online! Thank you very much everyone for the many birthday wishes you were kind enough to send and for all your good wishes about our forthcoming move to Vancouver. We are continuing to study hard and have started writing the lecture for the next show, so bear with us as we embark on the next crazy adventure. I think its about time we shared an experience of how we have done this, what do you think? It has been a long time but we are back with the first of a two part lecture on a letter written by Nichiren Daishonin called A Ship to Cross the Sea of Suffering. The lecture is based on SGI President Ikeda’s guidance in SGI Newsletter 8518 which was given in May this year. By popular demand we have some more questions that we do our best to answer as well as the traditional shoutouts! Well, we seem to be on a roll! 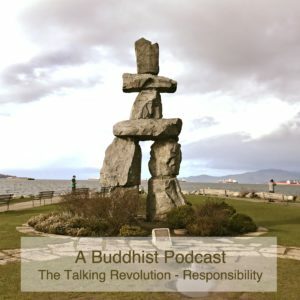 Welcome to another episode of A Buddhist Podcast. We are delighted to present Chapter 2 from William Woollards new book, Buddhism and the Science of Happiness. Reading, recording and editing this chapter really gave me pause to think! Thanks to the wonderful podsafe music network at mevio.com we were able to bring you three fantastic tracks tonight. The first is from Yael Naim who sings New Soul. The second and third are from a great and talented duo called the Dala Girls from Toronto, Canada. We play two tracks from the Dala Girls, Levi Blues and Hockey Sweater.We have an experience from John Renner in the US and we read the World Tribunes obituary for David Kasahara who recently passed away. Our shoutouts criss cross the world and also Jason answers a question as to what the quotes are on the family alter.As usual look to the right hand side of our website for the shoutout link if you want to make use of it. Alternatively you can send us a note on the Android or Iphone app! Thank you so much for your continued support. Please take great care and have a fabulous week. Sometimes its hard, but chant and determine to win, there is always a way through. We have great experiences from Janet Moorhouse in France, Lance Fallin in Arizona and Eleanor Khartchenko in Italy. As usual we have some great music for you. The first two tracks we play are from the Podsafe Music Network at musically.com. We play Geoff Smith (the creator of our theme music) who performs is famous track, Not on the radio. The second track is by the talented young Australian, Lee Coulter, who performs She fell in love with the mirror. Finally we have a wonderful song written by Howard Jones and Dunkan Sheik and performed by Howard Jones on his Album, Ordinary Heroes, its called Someone You Need. Our sincere thanks to Howard Jones for the permission to play this track on the show. If you would like to for us to give you a shout out on the show, click the link on the left hand side of our website “Shoutouts”. 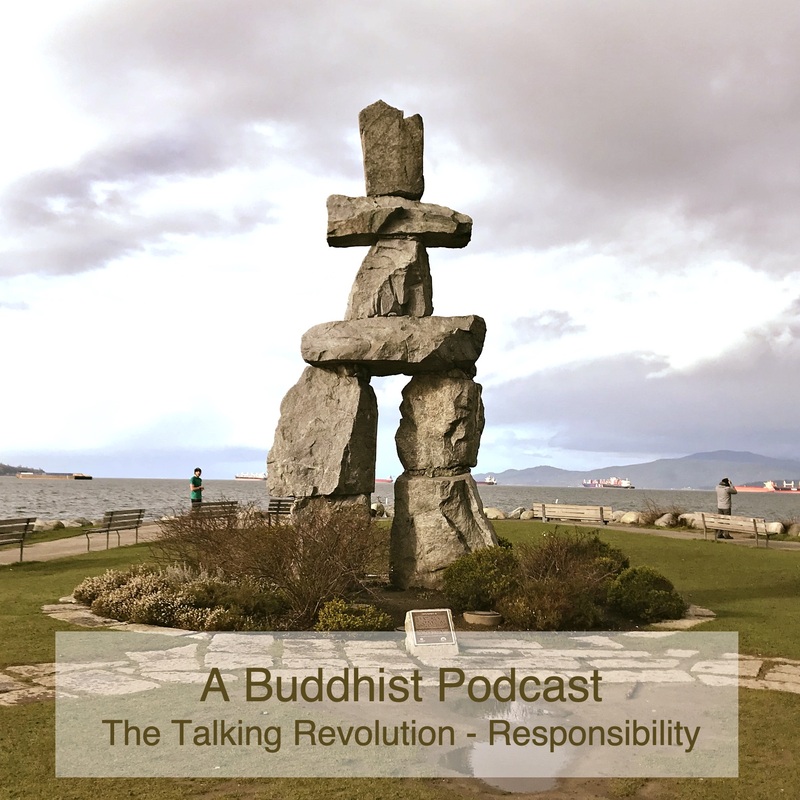 If you have a great experience of practicing this Buddhism that you would be happy for us to read on the show, you can click the link for Experiences on the site! On tonights show we have the stalwart William Woollard reading Chapter 10, ‘The Challenge of Change’ from his book, The Reluctant Buddhist. Jason reads SGI President Ikeda‘s New Year Message and Karen reads two great experiences from young women in England and the United States. As usual we have shoutouts that cross the globe and some great music! Tonight we play Harley Loudon’s track, “Will You Listen” on the PMN. Also on the PMN we play Stingray’s great track, ‘143’. Not on the PMN, but recorded in our kitchen we also play a new track called, ‘Rocks for Gold’ by the one and only Jimmy Golding. There is a competition, if you have one of our new decals, you can take a photograph of where you have put it and post it on Flickr.com or elsewhere and send the link and your mail address and size to us on the show. The image we like best, wins a TShirt! If you haven’t got one of our stickers/decals then write then send us an email and we will put them in the post! Jason is going to be in Austin, Texas for SXSW, if you are there and want to meet up then send us an email. Thank you all for your fantastic support and please take great care of yourselves wherever you are. Have a wonderful week. What does it mean to practice Buddhism correctly? Tonight we play three tracks! Thanks to PW Fenton, we have Lea Gilmore singing Ride My Blues Away. From the Podsafe Music Network we have the Lovespirals singing This Truth and Great Big Sea singing Beat the Drum. We have a correction we make and a reading of the wonderful poem by Christian Larson called The Optimists Creed. We have so many shoutouts tonight from Amsterdam to Singapore, from London to New York and from Mexico to New Delhi! Its a packed show and we hope you enjoy it! Thank you for listening, have a wonderful week!